In the early hours of a Saturday morning, on Mercer Street in New York City, a crowd quietly gathers on a sidewalk strewn with melting snow. They’re not waiting for concert tickets or the latest iPhone; they’re waiting for sneakers. New York’s NikeLab, one of only two in North America, is about to offer a limited number of coveted Air Jordan 2s, dressed in a premium, quilted blue suede. But they’re all going home empty-handed. Not long before the shop is set to open, an NYPD officer slowly walks by the line, waving them all home — the release has been canceled. When Kanye signed with Adidas in 2013, the company and the musician wanted to do things differently. It could have been worse. Last spring, an all-out brawl erupted in the line for a new shoe Nike developed in collaboration with the skate brand Supreme. Despite the stark difference between that line and the peaceful scene Saturday morning, the New York Police Department plays it safe. In the past two years, sneaker releases have drawn larger crowds, some drawn to the shoes themselves, but most to the money they know they can get for them on eBay that same afternoon. It’s easy money, if you consider waiting in line, possible violence, and dealing with Craigslist buyers easy. Adidas wants its shoes on the feet of people who will actually wear them. So it’s trying something new with Confirmed, an app that’s supposed to kill lines and finally make the distribution of limited-edition kicks as fair as possible. Back in the day, sneaker collectors seeking the newest pair of limited kicks just stood in line outside sneaker stores for them. It was as simple as that: You want to wear the shoes, you get up early in the morning and get them. Ask anyone from this era and they’ll tell you lines were mostly communal and congenial. They brought the community together, providing an opportunity to talk trades and rumors, and of course, to show off your kicks. But as lines got longer, people were willing to pay a little more than retail for assurance they would get their pair. In order to prevent people waiting in line the night before, or even days in advance, stores started to introduce raffles for more limited pairs. Go in during the week, pick up a ticket for your size, and if they pull your name, you get a call to come get the shoes. It took a little more effort from the stores, but it prevented buyers from having to camp on concrete, and it worked. Until they learned to game it. People started showing up with family members and friends, or getting tickets from every sneaker store in one mall, then driving to the next and repeating the process. Despite the shortcomings, some stores like Foot Locker and Champs still use lines or in-store raffles to pick buyers. In April 2012, Nike tried a new mechanism that many of its biggest fans were already familiar with: Twitter. On an announced date, at a random time, Nike would tweet a link to where to buy the shoes online, as well as RSVP codes to use at local stores. Send the code in as a direct message to your local store through Twitter, and if you’re quick enough, the shoes are yours. But people learned how to game this system too, with automated “bots” that could scoop up and retweet the RSVP codes within hundredths of a second, faster than any human had a chance. Try at they might, Nike couldn’t manage to hide the codes from these automated systems. The result? You had to pay for a bot to earn the right to buy the shoes, and the best bots were run by those who were planning on selling the shoes for profit anyway. Why go to all the trouble to buy a pair of shoes you aren’t even going to wear? Why spend all day running around to five different malls amassing dozens of pairs of the same shoe? Because there’s money in it — lots of it. The Jordan 1 “Bred” is a classic shoe; ask just about any sneakerhead and they’ll put it in their top 10 sneakers ever. It’s also been released in some variation four times since the original release in 1985, most recently in 2013. This newest version carried a retail price of $140, and according to sneaker-market tracker Campless, average resale price is over $400. 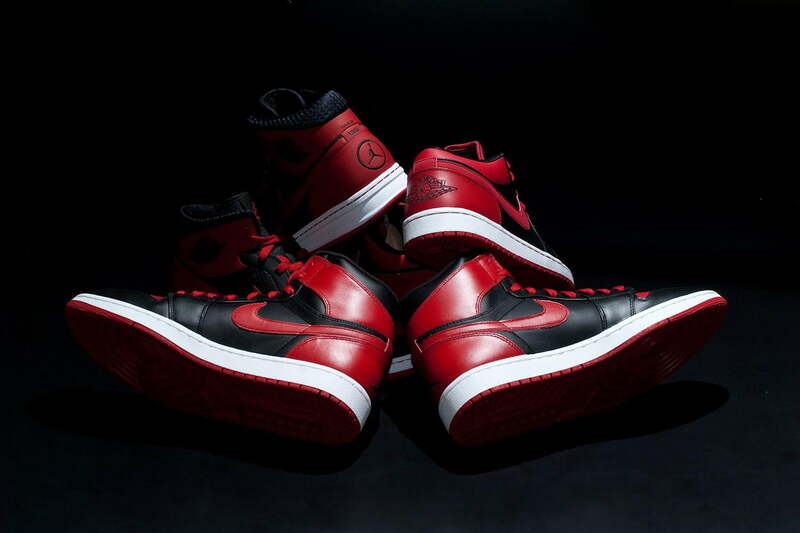 The 2011 version (which bears a special “banned” mark on the heel, signifying the fines Michael Jordan was charged as a rookie for wearing predominantly black shoes) broke $660 for a pair. The Nike Yeezy 2, the brand’s second, and final, collaboration with rapper Kanye West, generated an insane amount of hype, due to the extremely limited quantities, high price tag, and affiliation with the musician. Despite a $250 MSRP, the shoes were raffled off at boutique stores, which usually only received one or two pairs, and immediately reached thousands of dollars on sneaker-sale sites and eBay. When Kanye signed with Adidas in 2013, the company and the musician wanted to do things differently. They agreed that whatever shoes and clothing were released as part of the agreement should be easily available to people who will wear them, rather than ending up in the hands of people who are just going to flip them on eBay. 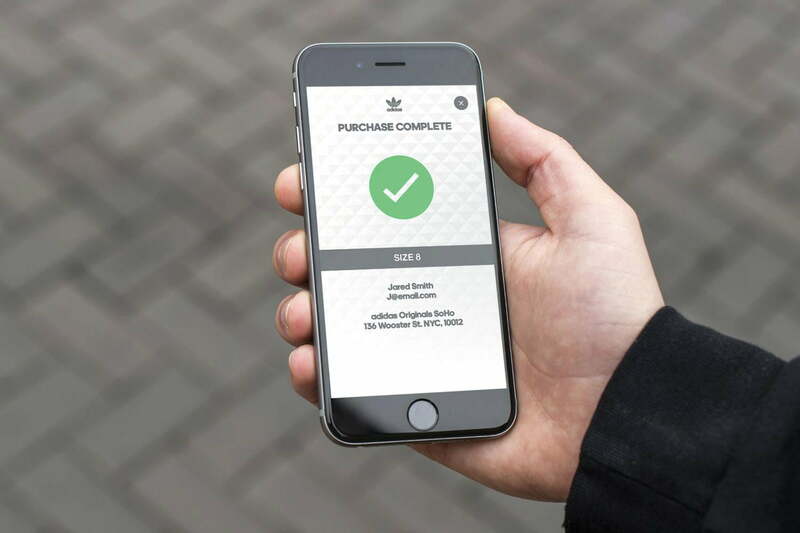 Where lines, raffles and Twitter failed, Adidas turned to an app to make it happen. 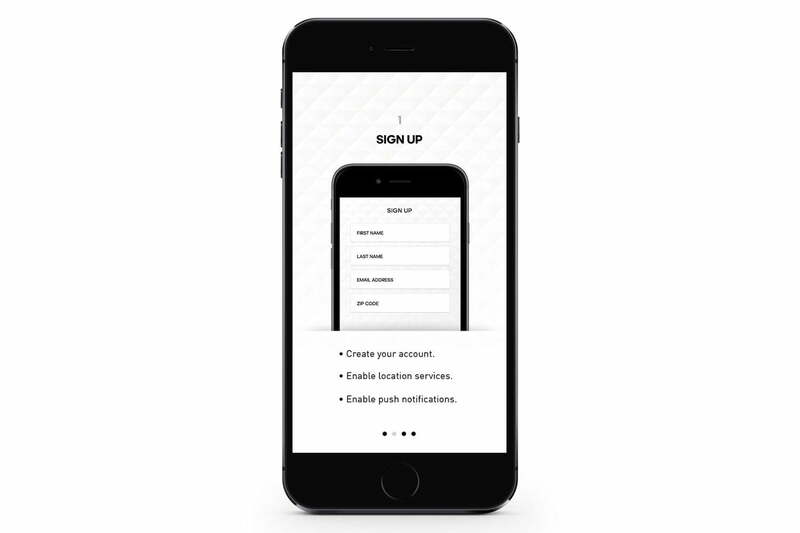 The system is simple: Sign up in the app (available for iOS and Android) to register your name and location, and enable location services on your phone. The app will feed you notifications letting you know the date and time of a release in advance so you can prepare. If you’re in the corresponding area when the sneakers drop, you’ll receive another push notification. 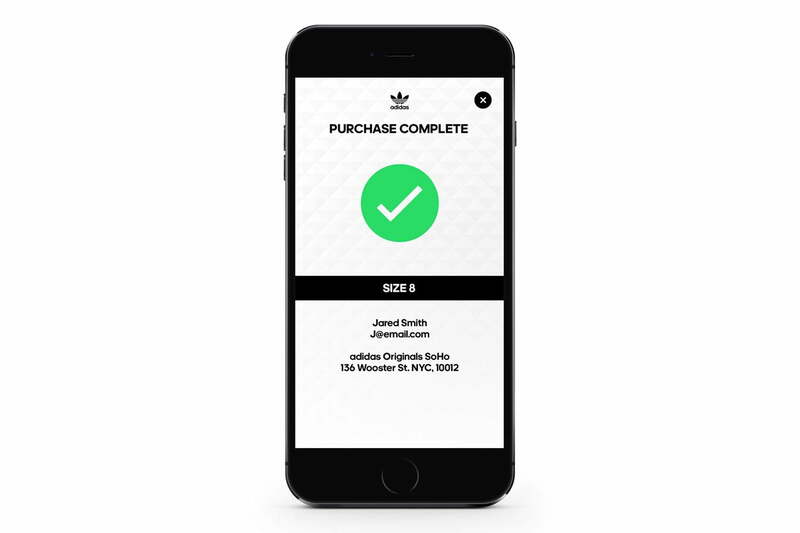 Open the app quickly, select your size, and your pair will be held at a store nearby. Walk in, pay for the shoes, and walk out. Unlike a line, you don’t have to put your life on hold or jam up a sidewalk while you wait. Unlike raffles, every person gets only one entry. Unlike Twitter, the system is immune to bots – in theory. 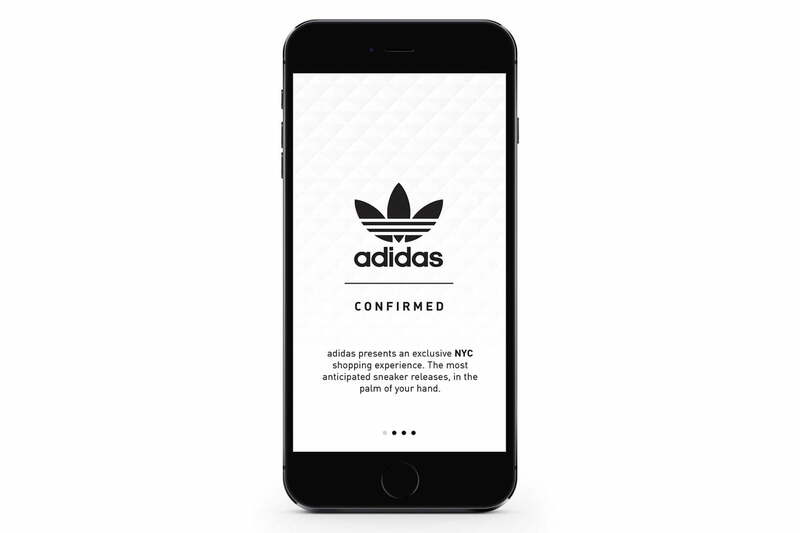 At the moment, Adidas has only rolled out the app in New York to test the system with customers. The long-awaited Kanye West x Adidas shoes will be the first pair available through the system, only to New York City residents on an unannounced date. Sneaker collectors are already frothing at the mouth for a glimpse of the coveted collaboration, offering resellers a strong incentive to break the app, and the perfect chance for Adidas to see whether they’ve succeeded at changing sneaker reservations. Unfortunately, even the best systems can be broken, especially when you’re trying to cut people out of making hundreds or thousands of dollars on a single release. In the morning hours of February 3, shortly after the release of the Adidas Confirmed app, there were already murmurs on Instagram that the Adidas Confirmed system had already been broken. Using jailbroken iPhones and rooted Android devices, users were purportedly able to create custom software to send spoofed GPS locations to the app, theoretically allowing them to reserve shoes in specific places in New York City. Granted, they still have to go to the store and pay for the shoes, but it would make it easier for someone to find pairs at several different stores all over the city, from one convenient location. Has Adidas already thought ahead on this one? We’ll see. When Nike’s Twitter system was accosted by bots, the company started canceling orders that were placed unreasonably quickly after the tweet went out. 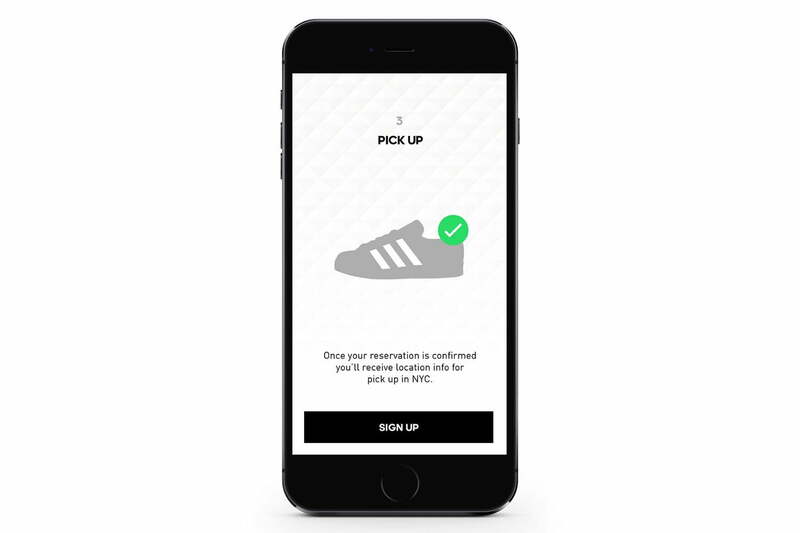 Adidas might already have a way to sniff out orders placed with spoofed locations. 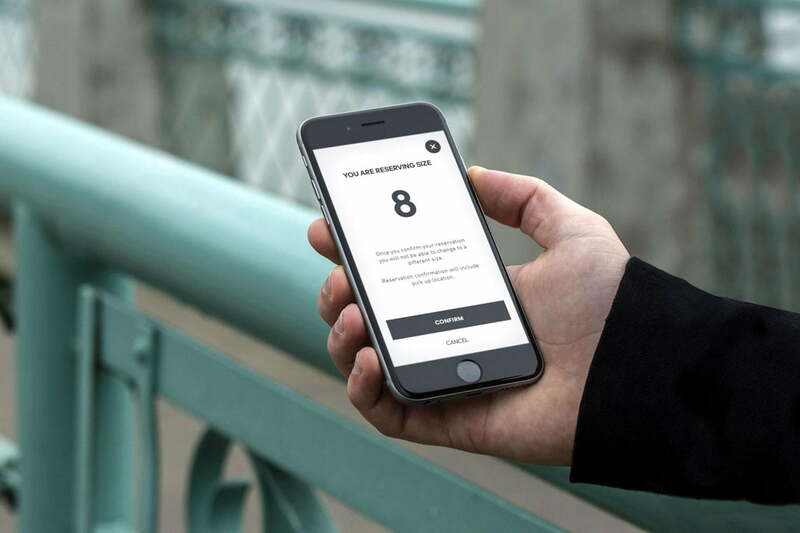 For a company like Adidas, which sits second to Nike in demand for its limited-edition sneakers, the Confirmed app could be pivotal. A smarter way to get shoes onto the feet of its biggest fans could help the brand get the traction it needs to catch up. Another exploitable system could mean more high-end shoes making resellers thousands on eBay. We’ll find out when Kanye’s kicks put the system to the ultimate test later this year.